Thinking entrepreneurship while just out from Vegas, how not to draw a parallel between gambling and starting up. 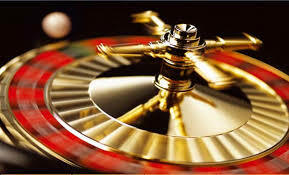 Get a 100$ note out of your wallet, walk to the cashier, have it changed to tokens and head for the roulette table. Now, go all in on red. Why red ? Well, just because it is a warm color, the color of passion. Then, it is a 50-50 chance to get rich(er) or lose it all. Reminds you of something entrepreneurs ? That is how it is like in startup life. At the same time, that is what it is all about. I have never called entrepreneur a guy who thinks his idea in order to get rich (best example : copying the ideas that have worked and paint them black instead of red … ). Entrepreneurs do entrepreneurship. They go for it. It does not mean that there is no thinking at all behind it, nor reason. The thinking, just like roulette, is just to take out a 100$ note and lose it maybe. But losing is indeed an option. And there is more behind playing than just the will to earn millions. It is about following one’s idea. Or passion. And passion. Las Vegas, or say the desert outside Vegas, made me want to burn a few notes in buying some land, maybe a small cabin and try to do something out of it. Unreasonable ? To buy a patch of dry land, 200 miles from an airport ? Maybe. But that is where entrepreneurship takes roots. In believing that there is an opportunity when most people see craziness. So, following my roulette round, yes, I do bet on passion red.